This automotive nameplate is not only one of the first compact crossover SUVs ever produced. It is also the top choices in its class: two decades later. Credit that to a standard all-wheel-drive system (still a rarity among crossovers), lots of interior room, and the ability to blend the best profile characteristics of the station wagon and SUV body styles. The 2018 model year is part of the nameplate's fourth production cycle, and it is available in four versions: the regular model, the Premium, Limited, and Touring. Exterior lighting on the SUV includes multi-reflector halogen headlights. Upgrading to the Premium trim adds a rear spoiler for aerodynamic performance, roof rails for exterior cargo carrying capacity, and a panoramic power moonroof. The headlights on the Limited and Touring can automatically turn on or off to adjust to the amount of outdoor light available, and both trims gets fog lights for better illumination in hard-to-see situations. The Touring stands apart with its LED steering responsive headlights for more accurate illumination, as well as turn-signal indicators on the side mirrors for making fellow drivers more aware of which direction you're taking. The two lower-level trims get 17-inch alloy wheels, while the Limited and Touring ride on 18-inch alloy ones. Designed as a five-seater with two rows of seats, this crossover SUV provides up to 108.3 cubic feet of passenger volume. The space between the rear seats and the liftgate yields 34.4 cubic feet for trunk space; this can be expanded, though, to 74.7 cubic feet if you fold down the seats. On the Premium and up, the SUV has 6-way power adjustability with power lumbar support on the driver's seat. Upgrading to the Limited trim adds leather upholstery and front-seat heating capability. The Touring trim is the only one with a heated steering wheel, as well as two-position memory system for the driver's seat. Standard comfort and convenience features include keyless entry, a 4.3-inch color multi-function display, four-speaker audio, an AM/FM radio tuner, HD Radio™, a single-disc CD player, Bluetooth® wireless connectivity for hands-free phone calling and audio streaming, a USB port and an auxiliary audio jack for connecting mobile devices, and STARLINK™ infotainment integration with a 6.2-inch LCD touchscreen. You will need to upgrade to at least the Premium to get additions or enhancements like six-speaker audio, a complimentary four-month SiriusXM® satellite radio subscription, Siri® Eyes Free voice command ability, and a 7-inch LCD touchscreen. 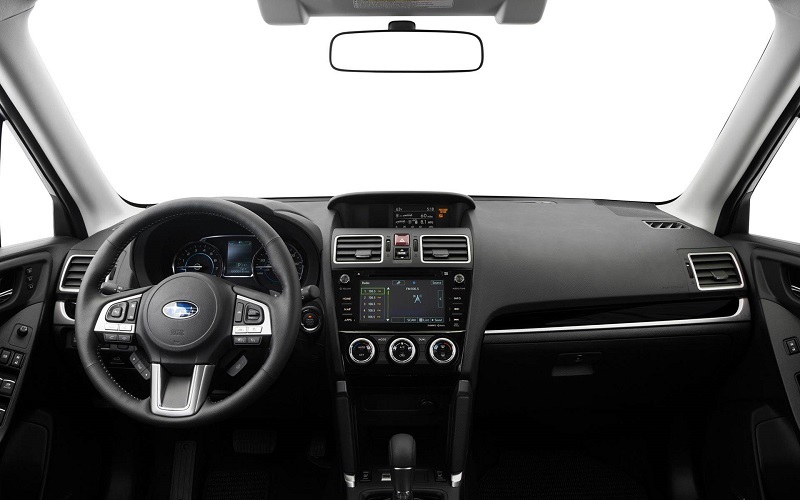 Only the Touring has dual-zone automatic climate control, push-button engine start, 7-inch touchscreen navigation, and an eight-speaker 440-watt Harman Kardon audio system. The vehicle is powered by a 2.5-liter horizontally opposed (H) four-cylinder (4) engine that generates 170 horsepower and 174 lb-ft of torque. On the Limited and Touring trims, you have a choice between the aforementioned standard engine and the smaller yet beefier 2.0-liter turbocharged H4, which generates 250 horsepower and 258 lb-ft of torque. In addition, with the 2.0-liter H4, you will get a dual chrome-tipped exhaust system. While the regular and Premium trims have their engines mated to a 6-speed manual transmission, the Limited and Touring engines get a continuously variable transmission for a smoother driving feel. Added on the Limited, the 2.0-liter H4-powered Premium, and Touring is X-MODE®, a drivetrain technology that enhances traction control by reducing wheelspin. The strut front and double wishbone rear independent suspension provides cushioning from road turbulence when driving on less-than-smooth surfaces, and the electric power-assisted rack-and-pinion steering provides a turning circle of 34.8 feet. If your vehicle has the turbocharged 2.0-liter engine, it comes with a more firmly-tuned suspension for a sportier ride, and paddle shifters are added on the steering wheel to exercise more control over gear shifting. The crossover's airbag system consists of a driver's knee airbag, dual front impact airbags, dual front seat-mounted side-impact airbags, and dual roof-mounted side curtain airbags. Other standard safety features include traction control, electronic vehicle stability control, LED daytime running lights, a rearview camera, electronic brake-force distribution, and a four-wheel anti-lock disc brake system with electronic brake-force distribution, brake override, and brake assist. For security, the vehicle combines keyless entry with engine immobilization. Upgrading to the Premium or higher adds the STARLINK™ Safety and Security suite of services, which provides functions such as automatic collision notification, SOS emergency assistance, roadside assistance, and stolen vehicle recovery. The Limited and Touring get additional hill descent control for safe driving down a steep slope. 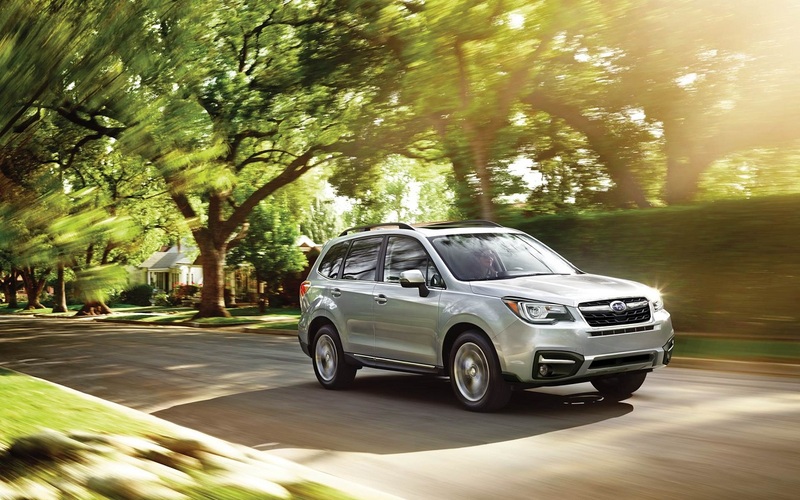 The Touring is the only one with high beam assist, reverse automatic braking, and the EyeSight® driver-assist technology suite, which provides functions such as pre-collision braking, adaptive cruise control, lane keep assist, lane departure, and sway warning. Notably, if you go with the turbocharged H4, it gets larger disc brakes. 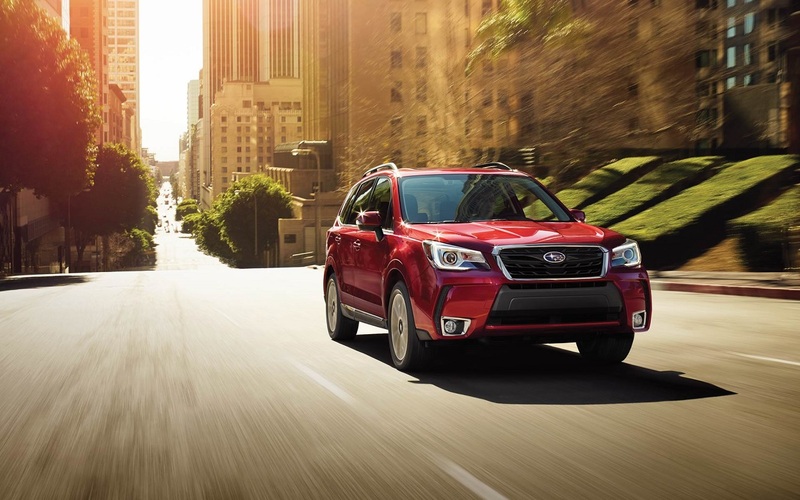 Contact Flatirons Subaru today for more information, quotes, or specials. Although located in Boulder, Colorado, we are a short drive from Denver and we are known for serving Denver Colorado residents with Denver area specials. Can't wait to try out the vehicle? 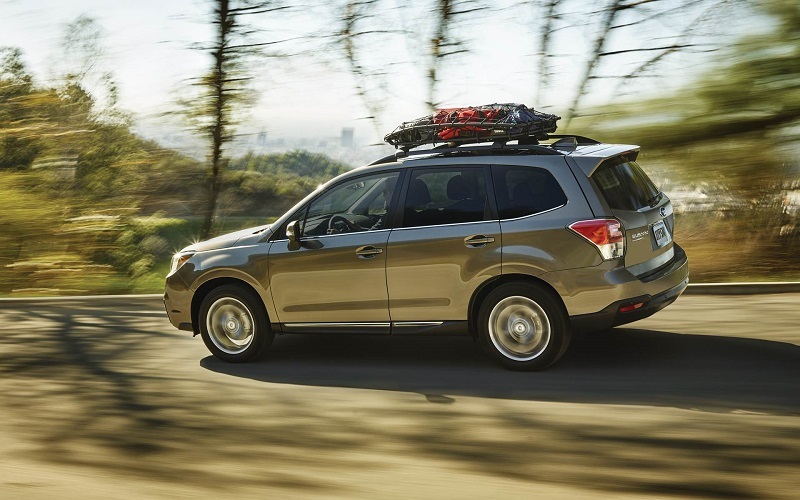 If so, visit us at Flatirons Subaru in Boulder, Colorado. We have built a reputation for serving Denver Colorado residents with Denver area specials, in addition to other surrounding areas. Call us at Flatirons Subaru to set up an appointment with one of our sales specialists known for serving Denver Colorado shoppers with Denver area specials.